welcome you to Lauzanac, in their 2 self catering cottages. For a week, a short stay or a long Winter let. Two farmhouse cottages in the south of the Dordogne. Called Farmhouse Cottage Les Chênes (The Oaks) and Farmhouse Cottage Le Pigeonnier (The Pigeon House), each gite has its own secure private swimming pool and can each accommodate from 2 to 8/9 persons. With WIFI. Situated 3 kilometres from the medieval bastide town of Eymet, near the River Dropt, Lauzanac is within visiting distance of several prehistoric sites such as Lascaux and Les Eyzies, castles such as Lanquais, Beynac and Monbazillac, and medieval towns such as Sarlat, Bergerac and Monpazier. For a quick view, here is a video made with pictures of our visitors, friends or family. Thank you to everybody for your kind permission. 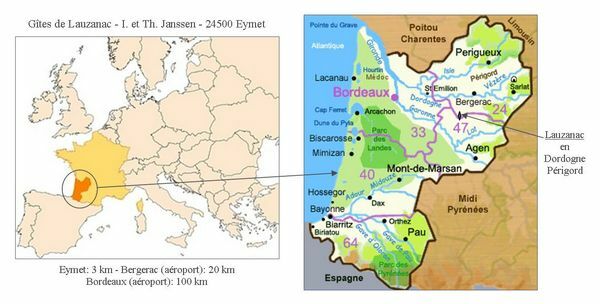 Lauzanac is on the borders of the Lot-et-Garonne and Gironde Departments where there are other listed places for you to discover such as the towns of Pujol and Penne d’Agenais, the castles of Bonaguil and Nérac, or St Emilion and its famous vineyards or even the beautiful city of Bordeaux. 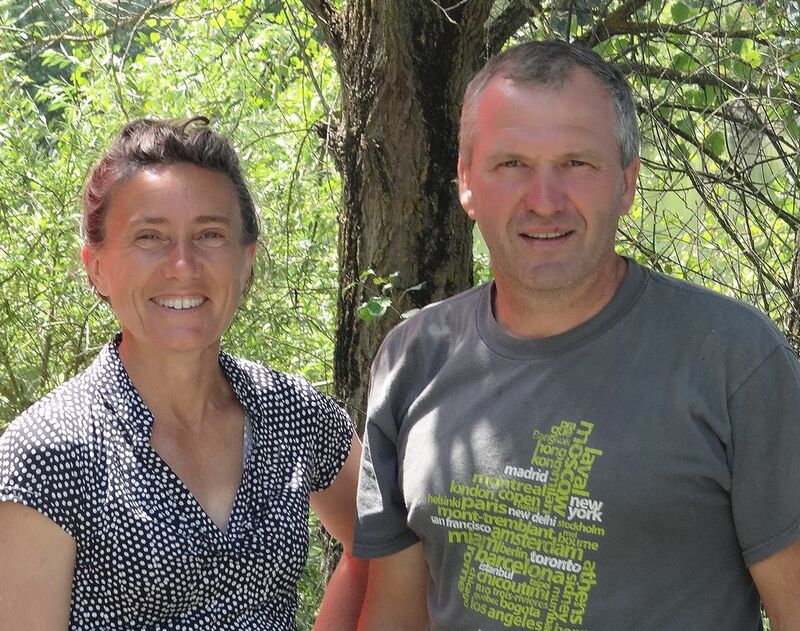 We are in a region well-known for gastronomy with its foie gras and duck breasts, cep mushrooms and black truffles, and for the excellent Bergerac, Duras, Monbazillac, Pécharmant and Saint Emilion wines. 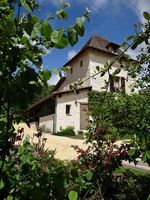 You will be accommodated in comfort in these two houses which have been lovingly restored in the local Périgord style and are bursting with character. 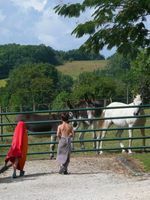 You will enjoy the calm and charm of the countryside and the children will especially love having the farm’s animals close by. 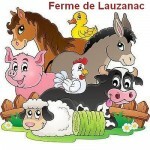 This entry was posted in Accomodation Dordogne, Actualité @en, Farmhouse Cottage and tagged Bergerac cottages, Eymet cottages, Farmhouse accomodation, Lauzanac farm by isabelle. Bookmark the permalink.